Born in Kansas City, MO on April 25, 1923, Norma Penny Hall grew up in Los Angeles, CA. Just as little boys grew up wanting to be pilots, so did Penny. She started flying in early 1943, working a 48 hour week in LA. Because civilian aircraft were not allowed to fly within 100 miles of the coast, she traveled 'inland' to to the airport in Blythe, California, to take flying lessons on the weekends. Eventually, she quit her job and moved to the airport, which was nothing more than a wide spot in the desert. Penny pumped gas, made sandwiches, served beer, and worked on airplanes with her meals and room as part of her pay. Her hard work paid for one hour of flying time a day. After earning the required 35 hours and passing the initial interview and tests, Penny, along with 135 other young women pilots, was accepted into the Women’s Flying Training Program as a member of class 44-6. She arrived at Avenger Field in Sweetwater, TX in January of 1944, during one of the worst snowstorms in west Texas history. After completing seven months of Army Air Force flight training, she and 71 classmates, received their silver wings on August 4, 1944. After graduation, Penny was assigned to Gardener Field Taft, CA. where she flew BT-13's and PT-17's as an engineering test pilot. She also flew ferry missions, including an unforgettable trip from California to St. Augustine, FL. with 30 open cockpit Stearmans in early December. 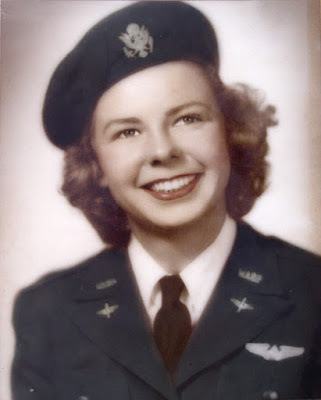 After the WASPs were disbanded in late December 1944, Penny served as an air controller in Santa Barbara till the war ended, and then flew aircraft from the factories to dealers around the USA. Seeking something different, she found a job in Saudi Arabia as a payroll clerk and worked her way up to being the highest paid female in the corporation. However, she was still paid less than her male peers. Penny met and married a petroleum engineer, with whom she had 3 sons: Brad, Steve, and Scott Houghton. Later assignments took the family to Indonesia and East Pakistan—now Bangladesh. On moving back to the states, she became a court reporter for the Superior Court, District of Columbia. Upon retirement, she married her husband, Paul Halberg, an ex-Navy Pilot and VP for Magnavox on March 9, 1985. Penny joined Paul in Fort Wayne, IN where she became an enthusiastic fundraiser for the Fort Wayne Philharmonic Orchestra. Penny and Paul moved to Hammock Dunes, Palm Coast, FL in 1994 and were active members of the club until 2004. Penny enjoyed water and snow skiing, golf, travelling, was a lifelong bridge enthusiast, and flew over most of the USA with her husband in a high performance plane he built from a kit. She will be remembered for her loving nature and her service for our country. On May 12, 2016, Norma J. 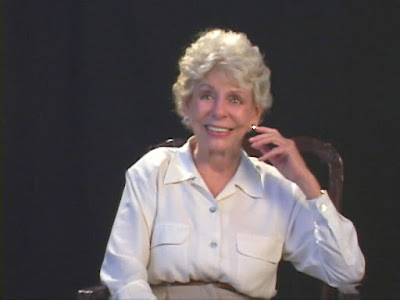 "Penny" Halberg, 93, passed away. This remarkable, generous, kind, spirited WASP is now flying higher than she's ever flown before. Penny is survived by her husband Paul; by her sons: Brad, Steve, and Scott; plus daughters-in-law Barbara, Rose, and Cathy; and 3 grandchildren. Interment is scheduled at Arlington National Cemetery for Monday, August 1, 2016. Arrangements are under the careful direction of Lohman Funeral Home Palm Coast. We were fortunate to meet Penny at her beautiful home in Palm Coast, Florida in April of 2003. She made us feel right at home. She was welcoming, warm and generous. Her story of determination, love, commitment and patriotism was and still is inspirational. She gave up the comfort of home to sleep in the back of a run down airport shack, sweeping floors and pumping gas in order to learn how to fly...and her gentle persistence and determination carried her throughout her lifetime. We were honored to have known her and our prayers are with her husband, Paul, and her sons and families. Those who knew Penny already know how extraordinary she was. May God bless you all. with information from Penny's Wings Across America interview and the original obituary, published in Fort Wayne Newspapers.